"Intense doesn't even begin to explain it." Every so often something comes along that changes the way we think. Like the Ariel Atom. No doors, no roof, no compromise. Super car engineering and quality components. In performance the Atom surpasses practically any vehicle. Serious motor sport or ultimate fun, the Atom delivers. It really is like nothing else you'll drive. The Nomad is an Ariel through and through. The same thought in design, the same attention to detail, and the same Ariel grin on your face. What the Atom is to road and track, the Nomad is to road and off-road. 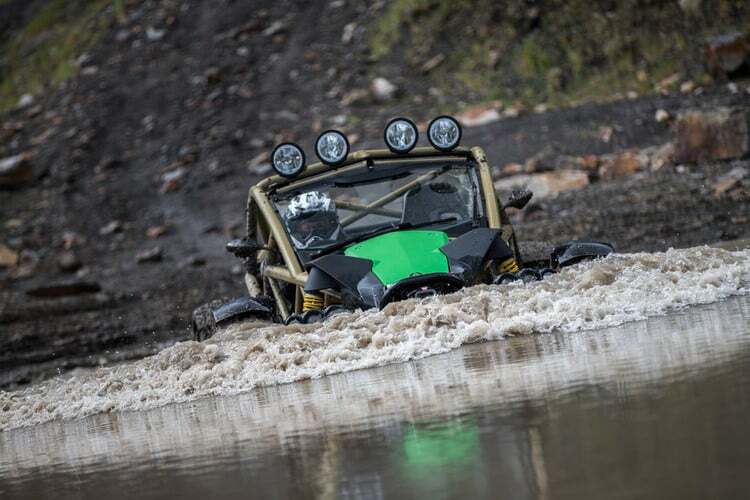 A modern vehicle designed for the rough and tough of the wild, but just as at home in the city and just as much fun. "His commitment to superior customer service and attention to detail inspire confidence and set him apart from the competition. " "Franz is the most honest individual I have met in the auto industry, and he always exceeds my expectations." "This transaction was handled with honesty and integrity throughout. You run a first class operation." "I placed complete confidence in your ability and you did exceed all my expectations." Ready to sell your luxury, performance vehicle? Let us do it for you.